The HJC CL-X7 Motocross Helmet features an advanced polycarbonate composite shell that is lightweight, comfortable and has a superior fit. 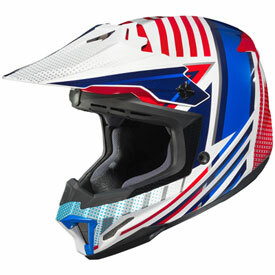 The HJC CL-X7 Motocross Helmet provides full front to back airflow with the Advanced Channeling Ventilation System, flushing humidity up and out. 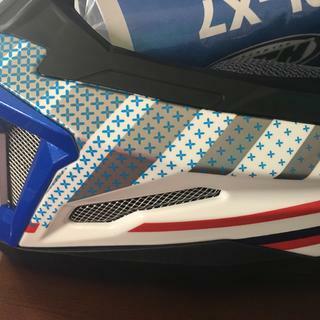 The HJC CL-X7 Motocross Helmet also comes with removable/washable interior and fabric that is anti-bacterial, moisture-wicking and odor free and increased contour providing an optimum fit and comfort. 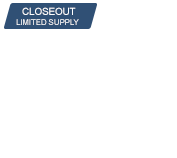 Impact absorbing, dual density EPS liner (sizes XS - 2XL) and single density liner (sizes 3XL - 5XL). 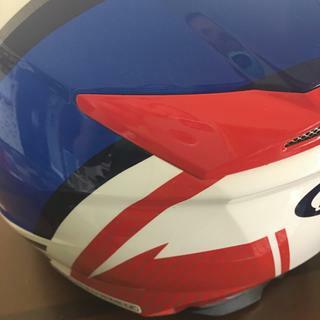 Multi-level top and forehead intake vents combine with rear exit vents to provide flow-through ventilation that helps to pull heat and humidity up and out of the helmet's interior. Moisture-wicking and odor-free interior with advanced SuperCool antibacterial fabric. 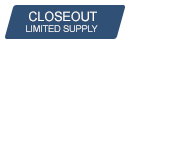 Contoured, multi-layer cheek pads optimize fit and comfort. 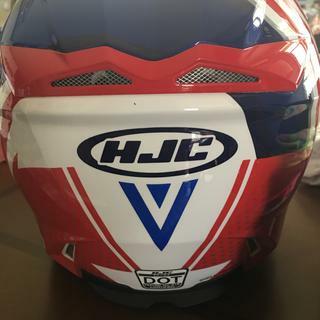 HJC makes good helmets. Have used them since I was a kid. The fit out of the box was a little snug but the cheek pads wore in quickly. I wear an xl. There are a lot of vents for ventilation but is pretty quiet for a mx style helmet. Fits great at a great price. I have had this helmet before and the visor screws like to fall out. If you over tighten them, they will break off the interior portion of the threaded inserts. I put a small piece if tape over the screws before I ever put it on. HJC helmets have been a favorite of mine for years now, lightweight Snell and DOT approved great styling and awesome graphics. As an OEF veteran, getting the Hero Helmet was an easy choice for me me! But when it arrived I was blown away! What an awesome design! I have a plated collarbone and bought a Fox V2 while I was recovering. When I started wearing it, I quickly found out that the bottom edge of the Fox hit my collarbone while riding. I didn't wait to find out what would happen if I crashed on it- sold it locally. Neither my old Thor or my son's One contact my c/bone. I also could not use it with an EVS neck roll due to the depth. I bought this HJC and WOW.... much better. I _cannot_ make it hit my collarbone- by the time it starts touching, it's the side of the helmet that's contacting, not the edge. The edge of the helmet is actually recessed upward from the side padding which is a very smart feature, IMHO. The sizing is perfect for my 7 1/8- 71/4 head. How much does this helmet weigh (size M)? BEST ANSWER: The approximate weight is 3.35 lbs. My large helmet is 3lbs 10.3oz.